Boca Raton, Florida. 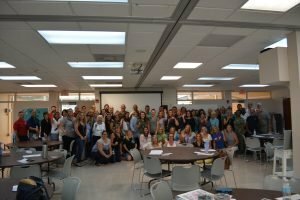 September 25, 2018 – With school back in session, school safety in Boca Raton is a major focus for local schools. Boca Raton schools are expanding their focus of safety plans to include active shooter training. 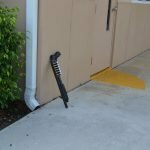 Recent tragedies in Florida, such as the Marjory Stoneman Douglas High School incident and the shooting at a football game in Wellington have made school safety in Boca Raton the forefront of school officials, teachers, parents and lawmakers. Staff at Katz Yeshiva High School in Boca Raton practice for a threat in school. Team members are applying a tourniquet, calling 911 and securing their room. 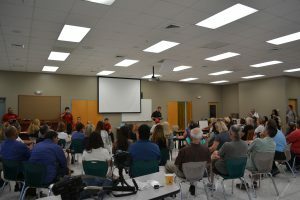 Guardian Defense is the company that makes an impact on local schools on the active shooter training front. To empower individuals to take action when faced with a threat. 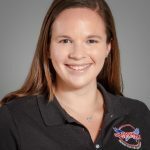 Located in Boca Raton, the team at Guardian Defense share a passion for protecting civilians in Florida and across the country from mass casualty incidents. Led by south Florida native and current law enforcement officer, Steven S. Smith, this team is equipped with a wealth of knowledge and passion. At Guardian Defense, each team member has a special motive behind why they do what they do. They want to protect your children from a threat, just as they hope for their own children in school. Guardian Defense instructors have school-aged children, grandchildren, or children they mentor; and they want to see them protected. Some are married to school teachers, 911 dispatchers and other related fields. They are ready to instill confidence in their audience. Participants at Saint Andrew’s School in Boca Raton wait to hear their group assignments for the scenario-based exercises. 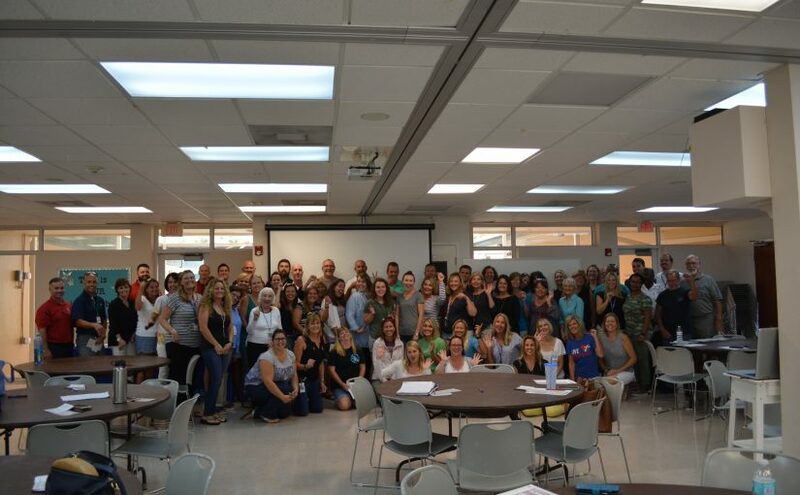 These schools put effort into ensuring school safety in Boca Raton by seeking the assistance of experts in the threat response training field. Training is not only for Boca Raton. Guardian Defense travels throughout the nation to deliver this program. Just last month, they were at Sacred Heart Catholic School in Poplar Bluff, Missouri. No one knows exactly what they would do if faced with a threat. Various teaching models that include scenario-based training provides the opportunity to learn how to prepare and make quick decisions. 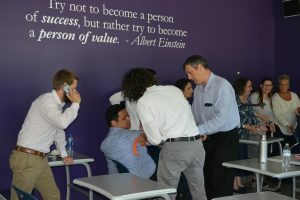 During scenario-based training, participants gain valuable insight into how these situations may occur and how to make a decision based on the information that is presented. What Are Our Local Schools Saying? 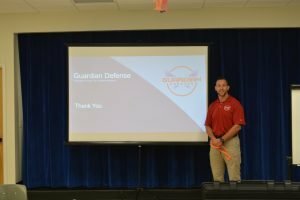 School safety in Boca Raton and throughout the nation was apparent for the Guardian Defense team last month. Read testimonials of participants from some of the 9 schools that were trained in August 2018. Guardian Defense recommends schools check their school safety preparedness by viewing these 15 Questions for School Administration. 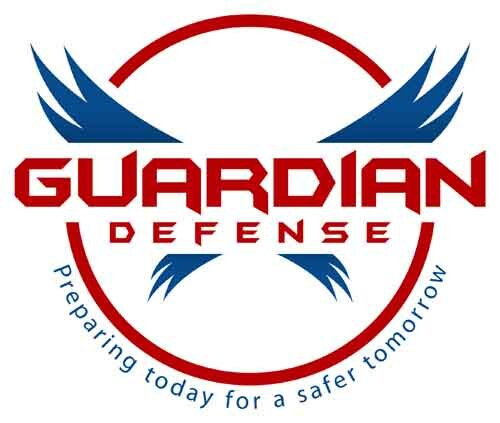 Schools needing assistance with plans and training should contact Guardian Defense immediately to help them get on the right track. To learn more about how to improve school safety in Boca Raton, or in YOUR community contact the friendly team at Guardian Defense today! GD president, Steve Smith, after explaining tourniquet use to staff at Boca Prep International School in Boca Raton. Guardian Defense (“GD”) came into business in 2013 following the tragedy at Sandy Hook Elementary in Newtown, CT. Current law enforcement officer and GD founder and president, Steven S. Smith, recognized the need for school staff to know what to do the moment a threat comes to campus. Since that time, GD expanded its services to reach businesses, places of worship and law enforcement officers as they learn how to plan for, and respond to, a threat on site. GD instructors serve clients throughout the south Florida region and the nation with the intentions of reaching as many civilians and officers as possible.